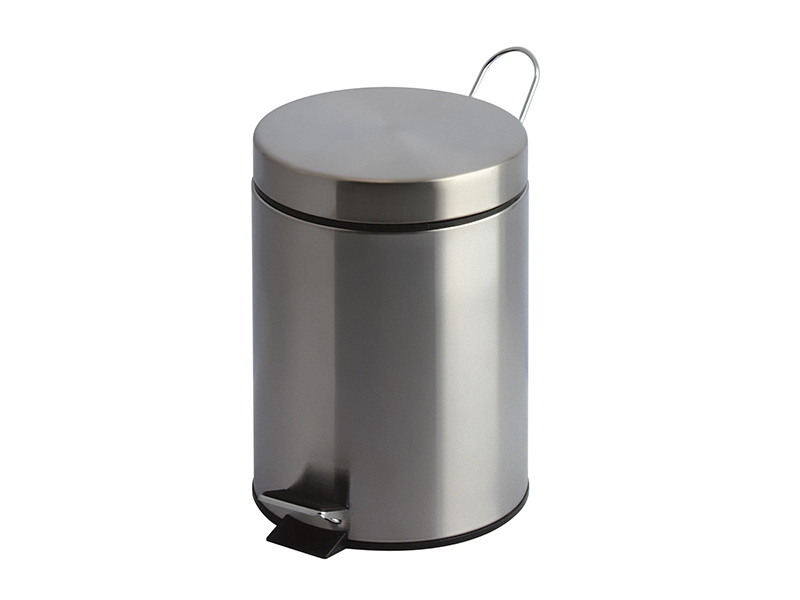 What is the Purpose of the Stainless Steel Pedal Bin? 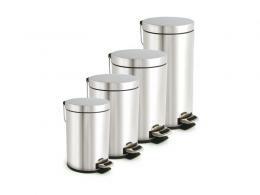 The Stainless Steel Pedal Bin can be used to dispose of general waste. 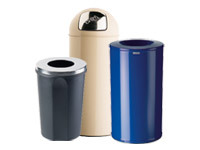 It is available in four distinct sizes; smaller bins are great for small spaces, while larger bins can be used in higher-traffic areas. This bin includes a foot pedal opening mechanism for utmost hygiene–users never have to touch the bin with their hands. It also includes a plastic liner for easy emptying. 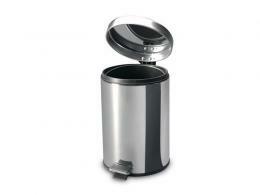 Because it has a convenient pedal mechanism and comes in various sizes, this is a highly versatile bin. Depending on which size is chosen, this product can be used in many different locations. Small, three litre bins can be placed in tight spaces, such as restroom stalls. Smaller bins might also be used in a cubicle or workstation to collection one person’s litter. Larger bins can be used in higher-traffic areas, perhaps in the restroom near an exit to collect paper towel waste. Larger bins might also be used in kitchens, cafeterias, or office lunchrooms to collection food waste. The pedal-controlled lid will keep food odours from escaping, and the plastic liner will allow for easy emptying of potentially messy food waste. Depending on where it is used, many different people might deposit their waste in this bin. Office employees might use this bin in restrooms, lunchrooms, or at their personal workstations. Kitchen employees might use this bin while preparing food. Custodians and other cleaning staff will appreciate the easy-to-empty design when they use this bin.